A few days ago, I heard a news item that really caught my attention. and maybe you’ve heard about them, but their mission was new to me. And while the news story was heart-warming, it had a very sad beginning: the wide-swipe of a killer tornado. But what is so up-lifting is the “silver-lining” role Team Rubicon is playing in the wake of nature’s funnel-monster roar. Team Rubicon is all about returning soldiers. They’ve been to war, often watching their buddies die, they’re even been injured themselves, yet they’ve made it out. And they feel lucky to have made it out alive. So lucky, in fact, that they continue to help with disaster-stricken people in devastated settings. Team Rubicon bridges the critical time gap between large humanitarian disasters and conventional aid response. They’re the vital first-responders. Working in small teams, they bring in medical care and they deploy fast with their mission of search and rescue. They’re there to do the heavy-lifting, often wielding chain saws to clear the worst debris. What was so moving was their commitment to service. After serving their military deployments, they’re continuing to serve in such a much needed humanitarian capacity. As highly skilled returning soldiers, they’re continuing to serve in the most demanding of on-the-ground work. Plus, they’re used to working in teams, accessing the situation at hand, and acting decisively. In effect, they’re translating their military combat training into humanitarian action. And I can’t help but think that the healing these returning soldiers are bringing to others might somehow be bringing healing to the trauma-inducing events that they’ve experienced in combat. Thanks to Team Rubicon, these soldiers have “Crossed the Rubicon” and are now “bridging the gap.” Because of their efforts, Joplin, Missouri is already beginning their healing process. And as we all know too well, healing the wounds of trauma is a huge gap to bridge. And all this brings me to Memorial Day, which is today. This is our day of commemoration here in the United States when we remember and bring recognition and tribute to those who have served so courageously in our armed forces. As we know, combat experiences can be incredibly traumatizing as well. 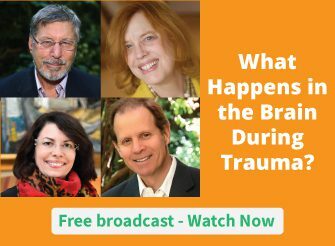 If trauma and its treatment is something that concerns you, you might be interested in our new trauma treatment series. I think you’ll find that it give a full-spectrum of new thinking on this very important topic. Thanks for the info. I live in Italy and have also taught English to Italian Military Intelligence. They are very proud of the fact that on mission a great part of their aim is always to help the civilians. Many have recounted to me the terrible situations found in war-stricken zones – especially to children, and most of these men come back home with a deep-felt humanitarian awareness. Nice to see this elsewhere too. Thank you. I met quite recently at an embassy reception, the most beautiful young woman from Rwanda who poured out her feelings – all still very jummbled-up about being witness to the slaughter of her entire family. One can only listen and love. Thank you so much, Ruth! Hadn’t heard of this group either and am passing this along to family and friends. So many vets on both sides of my family and dear friends..tho’ many gone now. They remained committed to a life of volunteer community service in their civilian lives where they passed those lessons and high exptectations on to us. My Dad (WWII) was a “Flying Physician” who flew to where he was needed for more years than I can count.